Portfolio completely updated with pages and illustrations you have never seen before. 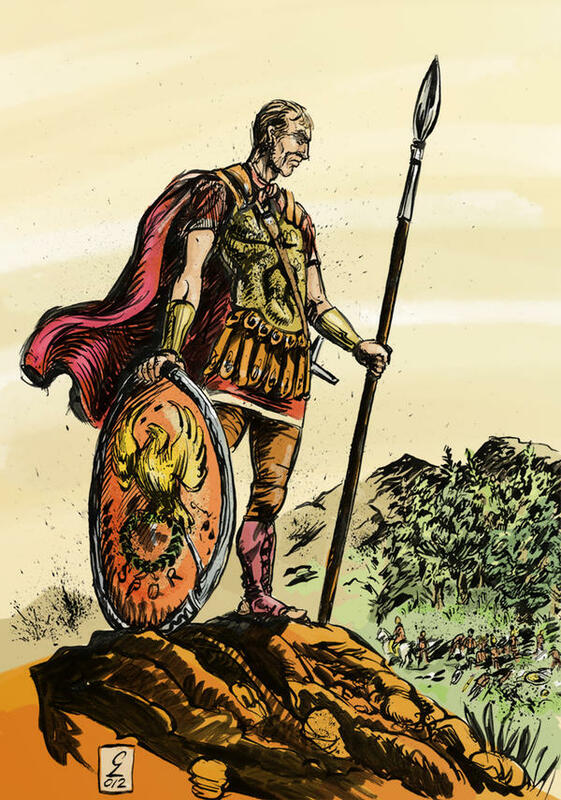 Flavius Aetius [link] defeated Attila's Huns at the Battle of the Catalaunian Plains, on June 20, 451 aD, thus saving the Empire against the Hunnic invasion. I didn't know anything about Aetius before watching the movie "Attila" with Gerard Butler, in which he is masterfully played by Powers Boothe. I'd like to draw a comic about him, one day. 1. I'm working as art director in an animated feature movie, La Cantata dei Pastori. There has been an article about it on the Italian newspaper La Repubblica one week ago or so. The article is in Italian, but you can see a few pictures here with some of the main characters and, in the end, a picture of the staff working on it. 2. I'm realising a graphic novel project for writer Dino Caruso, Community Service. I just fell in love with the story, and I just cross fingers that many other people will as well. I'm currently pencilling page 1. 3. I'm working on a short comic for writer Matt O' Keefe, Hexed - it will be published hopefully in March, so stay tuned! I didn't know they had made a video trailer for Don't Be Afraid! Cool! Don't Be Afraid is an anthology which features Daddy, a short story written by Justin Heggs and illustrated by me. The production of Community Service has slowed down a bit while I completed another page for another writer... I hope to be able to show it soon to you. In the meanwhile, happy 2012 and please follow Community Service on Dino's blog.